What if there were an amazing fat source that tasted, well, like fat, but also helped you burn other fat? There is. It's virgin coconut oil, a rising star in the nutritional world. What comes to mind when you see the word "thermogenic?" Heat, probably, since the word itself means "heat generating." Or maybe you think of a stimulant supplement like caffeine which is known to speed up your metabolism and increase energy expenditure. Maybe you're taking one of these right now, in the hopes of slimming down. One thing you probably don't think of is a coconut—and especially the oil extracted from its flesh. Not that long ago, coconut oil ruled alongside partially hydrogenated soybean oil as the worst of the "bad fats." Maybe you know them by their other name: trans fatty acids. These were the fats that were shown in repeated studies to increase the risk for heart disease and obesity, in addition to being linked to everything from depression to infertility. They're the reason you stopped buying movie-theater popcorn! Given that reputation, it's OK if you're skeptical about what I'm going to say next: Coconut oil is shaping up to be one of the world's premier natural thermogenic agents. But before you go running to the Cineplex, there's a catch: The processed coconut oil of the past has about as much in common with the healthy virgin coconut oil as Chief Wiggum does with Robocop. Intrigued? You should be. Let's crack open the coconut for a closer look. Coconut oil is the edible oil extracted from the meat of matured coconuts. It is a staple product in oceanic and tropical regions of the world, where coconut palms grow in abundance. Populations in The Phillipines and elsewhere have used it to cook and for various domestic uses for hundreds, if not thousands, of years. Because coconut oil is stable at high temperatures, it is perfectly suited for cooking methods such as frying, in addition to lower-temperature cooking such as baking. The stability of the oil is also the reason why it is very slow to oxidize and go bad. The high saturated fat content of coconut oil is what makes it stable, aside from providing its most prominent health benefits. "Coconut oil is the edible oil extracted from the meat of matured coconuts." Where the good and bad coconut oils differ is in the method of extraction. Refined coconut oils are extracted using hexane as a solvent, or various enzymes or high heat. 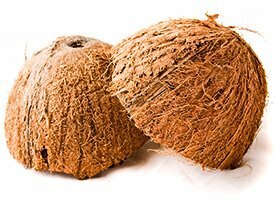 It is then refined, bleached, and deodorized to kill any remaining coconut taste or smell, and mixed with preservatives. After this, some coconut oils undergo a process of hydrogenation to raise their melting point. This process of refinement reduces the saturated fat content of the oil and turns some of the fatty acids into unhealthy trans fatty acids. Virgin coconut oil, on the other hand, is extracted from fresh coconut meat by wet-milling, sun-drying, presses, centrifuges, or grating. But take note that "expeller-pressed" and "cold-pressed" does not mean the same thing as "virgin," so look for that title. Virgin processes are regulated by the Asian and Pacific Coconut Community (APCC), which includes the countries that produce the majority of the coconut oil sold globally. The end result is a product that smells and tastes like coconut, whereas refined coconut oil is clear, tasteless, and odorless. Virgin coconut oil can be white, creamy tan, or yellow. Normally, it is sold in a jar or bucket, and when you open it, it will be a crumbly paste. 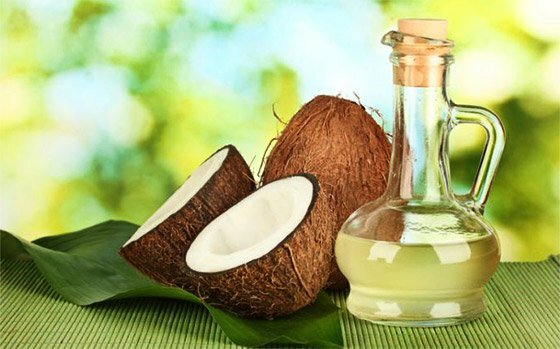 Why Coconut Oil is Better than the "Others"
The U.S. Food and Drug and Administration and the World Health Organization, among many other high-profile agencies, advise against the consumption of large amounts of coconut oil due to its high saturated fat content. However, it must be noted that the studies criticizing coconut oil were focused on the hydrogenated, refined oil, not on virgin coconut oil. The truth is that virgin coconut oil isn't just a different coconut oil—it's pretty much deserving of its own category among oils and fats altogether. 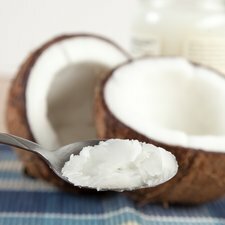 To appreciate the uniqueness of virgin coconut oil, it's important to understand how your body processes macronutrients. In general, fats are metabolized differently from proteins and carbohydrates. Instead of being broken down to form the building blocks of tissues and to generate energy immediately, fats are normally first broken down into fatty acids. Those then aggregate to form lipoproteins before being deposited in fatty tissues. However, medium-chain fatty acids like the ones found in abundance in virgin coconut oil are an exception. They are not used by the body like fats, but rather like carbohydrates. This means that medium-chain fatty acids do not circulate freely in the blood or get stored away to add to body weight. Instead, they are sent to the liver, where they are immediately converted to energy. "Medium-chain fatty acids like those found in virgin coconut oil are not used by the body like fats, but rather like carbohydrates. This means that medium-chain fatty acids do not circulate freely in the blood or get stored away to add to bodyweight. Instead, they are sent to the liver, where they are immediately converted to energy." That's right: This fat is not stored as fat but directly used up to generate energy, which speeds your metabolism. A number of studies have confirmed this unique characteristic of virgin coconut oil. This is a major reason that coconut oil is currently regarded as a better cooking option than refined vegetable oils. In one study, medium-chain fatty acids such as the one found in coconut oil were found to increase metabolism by between 48 and 65 percent in obese patients. This thermogenic effect also lasted 24 hours after ingesting medium-chain fatty acids. Experts agree that on average, medium-chain fatty acids triple the rate of metabolism as compared to long-chain fatty acids. This means that medium-chain fatty acids aren't only a healthy energy source, they also help burn off stored fat. Solely on account of its potentially profound effects on body weight, coconut oil should quickly become a staple in your home. But wait until you hear the rest of the health benefits this wonderful fat can provide. Virgin coconut oil contains a range of healthy saturated, monounsaturated, and polyunsaturated fats. Some of these, like oleic acid and linoleic acid, are renowned for their beneficial health properties. However, since more than 60 percent of the fats in virgin coconut oil are saturated fats, its appeal clearly hinges on them. The primary medium-chain fat in virgin coconut oil is lauric acid, a saturated fatty acid made of 12 carbons. Lauric acid is not common in nature, being found in human breast milk, palm kernel oil (which is not palm oil; big difference! ), and in trace amounts in some animal milks. In virgin coconut oil, it makes up half of the fatty acids. Lauric acid is a potent antimicrobial agent, but its effect on cholesterol levels garner even bigger headlines. This medium-chain fatty acid is known to increase total cholesterol levels in the body. This increase, however, is largely in the so-called good cholesterol, high-density lipoprotein (HDL). By increasing HDL levels, lauric acid may help support cardiovascular health. Lauric acid content is another area where the difference between refined and raw coconut oil is clear. During processing, coconut oil is stripped of its lauric acid, because this fatty acid is an important ingredient in many soaps and cosmetics. So go virgin or go home. Besides its fat-loss and cardiovascular benefits, coconut oil can also provide other health benefits, especially for type 2 diabetics. The saturated fat in coconut oil has been shown in animal studies to help control the rate of glucose synthesis and release by slowing down the digestive process. It regulates the breakdown of carbohydrates into glucose, helping to keep blood-sugar levels within a safe range. For this reason, coconut oil is sometimes recommended to be taken alongside carbohydrates to help lower their glycemic effect. By comparison, refined vegetable oils heavy with long-chain fatty acids have been shown to inhibit the absorption of blood sugar into cells. This encourages the buildup of glucose in the blood, and can increase insulin resistance—bad news for diabetics. Coconut oil has also been suggested to make dieters feel fuller and help control carbohydrate cravings, all while providing immediate energy on a cellular level. As the popularity of virgin coconut oil has skyrocketed, people have begun buying ever-larger quantities and finding more uses. Today, it's possible to buy a jug containing several gallons of congealed coconut oil for a surprisingly low price. But what to do with it? Cooking is the most obvious answer. Pretty much anything you use butter or oil for now, you could do with coconut oil. Try spreading it on toast or pancakes, or sautee fish or vegetables in it, and you may find yourself preferring its subtle flavor. Coconut oil is also the premier butter or shortening substitute for baking. The flaky, crumbly texture of cookies, muffins, and other baked goods are the same with coconut oil as with more caloric fat sources, but with a healthier nutritional profile. Coconut oil has also been gaining popularity as a massage oil, hair moisturizer, bug bite treatment, and even as a diaper cream for babies. "Coconut oil is also the premier butter or shortening substitute for baking." Diabetics and people prioritizing fat loss also take virgin coconut oil straight, either in capsules or by the spoonful. It also can be a great addition to a protein shake. When taking virgin coconut oil for fat loss, start slowly with one teaspoon per day, or substitute it for your normal cooking oils. Thereafter, slowly increase your daily intake to a maximum of six tablespoons. This allows your body to adjust to the oil, especially since coconut oil also has a detoxifying effect on the body. Coconut oil isn't a magic oil, and it should be combined with exercise and a healthy diet plan to achieve and maintain fat loss. However, it can be a valuable tool in your arsenal, and its upside is undeniable.